Keep writing documentation is a long journey because changes in the solution imply an update of the documentation: Web, PDF’s, ePub, Videos to say the least. We have found our champion besides the fact that it didn’t address the requirement #4 “Spelling and Grammar check”. We still use Microsoft Word to check simple misspellings or grammar errors. They are many solutions out there such as Wikis, Document Management Systems or custom made software’s. None of them addressed the needs for our rather small organization. We develop our software using Microsoft Solutions and we didn’t want to develop custom made software, as it was not our core business. We looked at Zen Desk , User Voice , Transifex  and many others. Either the costs were too high for our small organization or the solution were too complex for the moment but they are good chances that we will use one of them in the future. Use the StratEx documentation as a template? Are you interested to use the StratEx documentation  as an example to design your documentation, feel free to do it! 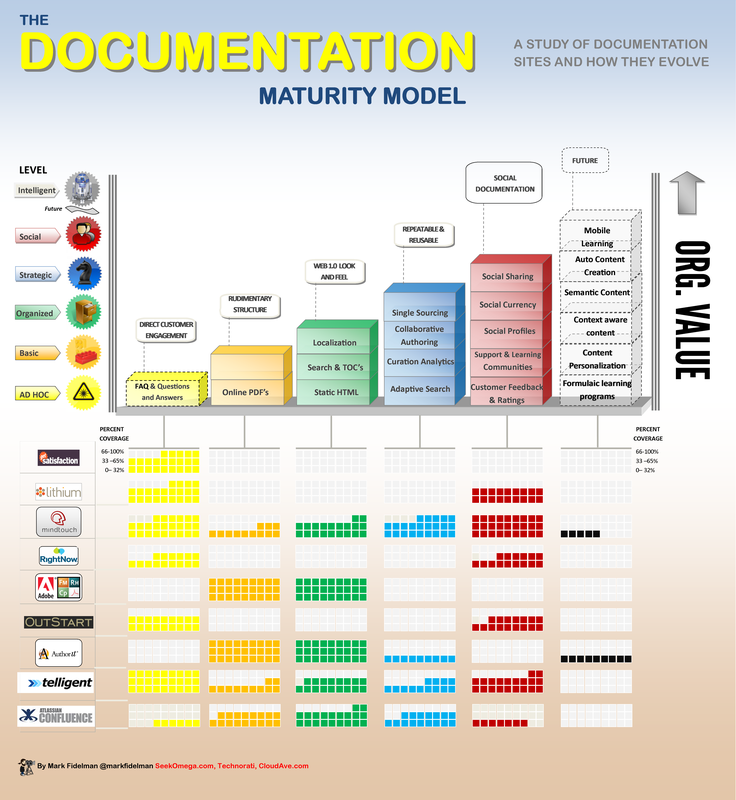 Before writing this post we didn’t know that a maturity model for documentation exist  (see the figure). We have listed the technologies that, brought together, have reduced drastically the workload to support the production of text documentation. The solution is a mix of open source software, Software as a Service  solutions and software engineering methods to deliver easily a documentation that may be enjoyable to read. Today, the solution came at no cost besides the human factor but it will change as soon as more users will use StratEx and more collaborators are hired. By now, your colleagues shouldn’t have a good reason to write the documentation when you see its result! https://www.uservoice.com UserVoice integrates easy-to-use feedback, helpdesk, and knowledge base management tools in one platform that empowers users to speak and companies to understand. http://www.sublimetext.com Sublime Text is a sophisticated text editor for code, markup and prose. http://docutils.sourceforge.net/docs/ref/rst/introduction.html reStructuredText is an easy-to-read, what-you-see-is-what-you-get plaintext markup syntax and parser system. https://bitbucket.org/altf1be/stratexapp-docs Raw documentation of StratEx, the easy to use, Web Project Tracking Automation tool that brings focused collaboration between business, consultancy and software development teams.